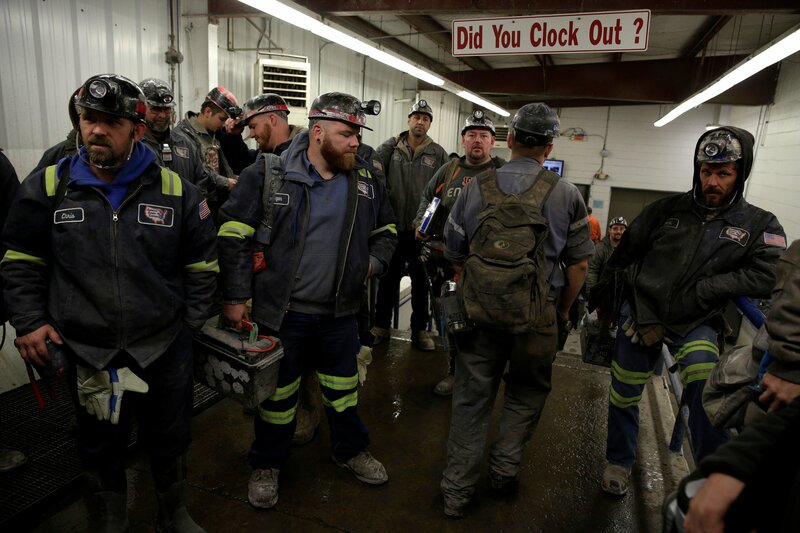 The steady decline of the U.S. coal industry is dragging down operations in the country’s biggest coal-producing region: the Powder River Basin. Spread across southeast Montana and northeast Wyoming, the Powder River Basin is geographically the country’s largest coal basin and its most productive. The Powder River Basin — where developers are able to operate more efficiently than other coal regions — churns out around 40 percent all U.S. coal. However, the downturn of the coal industry has taken its toll even here. Coal production in the Powder River Basin dropped by one-third between 2008 and 2017. There does not appear to be a turnaround in the immediate future. The region is expected to churn out 338 millions tons of coal by the end of 2018. Analysts are projecting that number to plummet to 329 billion tons — or even 315 million tons — in 2019. Major mining companies that have a presence in the Montana-Wyoming region are now pulling back operations, cutting staff and benefits. What’s happening in the Powder River Basin is indicative of what’s taking place across the country. The number of U.S. coal-fired generators dropped 36 percent from 2007 to 2017, according to the Energy Information Administration, removing around 55 gigawatts of coal-generated electricity. A total of 27 coal-fired plants announced early retirement or conversion in 2017. Coal plant closures occurred at an even faster pace in 2018, with a total of 14.3 gigawatts of coal-fired capacity closing up shop. However, Trump’s regulatory agenda may not be enough to stave off the coal-plant closures. The industry still faces stiff competition from cheap natural gas and subsidy-backed renewables. Utility companies are facing growing pressure from state governments to walk away from coal in lieu of more environmentally friendly sources of energy. “I don’t think any utility in North America is going to consider building coal as a new venture,” Todd Williams, a partner at ScottMadden, an energy consulting firm, said to WSJ.